It's been 12 years since the first Animateka took place in the charming capital of Slovenia. Animation festivals now expand in an exponential basis, but it seemed from the beginning that Animateka enjoys a special character and atmosphere for a young festival. Now in its 12th edition (7-13 December 2015), Animateka presents a rich programme of contemporary European animation fair. 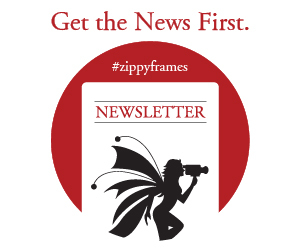 Zippy Frames talks with the guy behind the festival: its programme director, Igor Prassel. ZF: How did you ever start Animateka, and what was the reason and motivation behind this festival? IP: Before starting the festival in 2004, I was working for the Slovenian Cinematheque; since nobody there was interested in animated film, I was given a chance to have a program of animated films (I am still programming today animated film once a month). In 2002 and 2003 I organized Animafest Zagreb and Holland Animation Film Festival presentations in Ljubljana, covering almost the whole of their competition programs. At that point, I became aware that we could organize our own festival. With the help of the Slovenian Cinematheque, we launched the first edition of Animateka in December 2004, with the mandate to present to our local public the best of international, auteur-driven, animated films. Year by year, we shaped the festival to the form that still exists today. ZF: Your competition programme all these years consists exclusively of (great) Central and Eastern European shorts, giving the festival a unique character. Were you afraid at the beginning that this would be too limiting a choice or did you go through this with your eyes closed? IP: It was a rational and thought decision from the beginning. The subtitle of the first Animateka edition was "Re-Drawing Europe", where the chosen territory is a criss-cross from Albania to Poland and from Italy to Ukraine. I wanted to give more chance to films coming from this territory, which has a big historical tradition (especially the ex-communist countries), but also a lot to show in terms of contemporary production. Usually only few films from this area enter the competition programs of international festivals; so, yes, it is a conscious decission to promote animated films from Central and Eastern Europe. ZF: How did the festival evolve throughout the years? IP: Today, we have 2 more competition programs – the European Student Competition Program and the Elephant Films for Children International Competition Program. We are aware of the importance of educating our youngest audiences and the 4 competition programs for kids and young adults is a festival hit, being sold out to kindergarten and school groups in advance. The quality level of European student production keeps raising up every year, so we expanded the student competition to 4 programs, and each year we have more artists in attendance. During the last few years, the number of international guests visiting the festival is around 150, and that is a maximum for a festival of our scale. ZF: How big is the Animateka team? Tell us a little about the people behind the buzz and screens. IP: The core team is composed by 7 enthusiastic individuals, members of the 2 Reels Association for the Re-animation of Storytelling (i know it is a long and funny name), who are active during the year also as film distributors, workshop mentors, publishers and organizers of the Slovenian Film Festival (for the last 3 years). During Animateka, the festival team (including the volunteers and the Kinodvor and Kinoteka colleagues who are providing technical support and true cinema experience) consist of 60 people that make sure everything at the festival goes on smoothly... of course, we all do our best to enjoy the festival week -after screenings we have a festive exchange with festival guests and visitors! ZF: What is the feedback you have from the local community and the key national /regional players? I guess animation in Slovenia, as in most European countries, is a new kid on the block. IP: We were lucky that in 2013 the previous Minister of Culture, dr. Uroš Grilc, gave us the chance to apply for a 4 year film festival program grant (granted to 3 Slovenian film festivals) and we were finally in the position to employ the festival producer and program director. Beside that, we are the only Slovenian film festival eligible for co-financing by the CREATIVE EUROPE MEDIA grant and this gives us more credibility with the local community. We are aware that the role of the festival is to connect local realities in the field, so we are running a collaboration with the Ljubljana and Nova Gorica University, where animation studies started only in the last few years. We have a constant collaboration each year with national and local galleries, clubs and museums, where we present events linked to the festival. The proof of our good work in promoting the festival is a faithful audience of 8.000 viewers. But even with a partial financial stability, we are fighting each year to make the festival financially possible to a certain level (giving all the festival guests accommodation and food during their stay). ZF: Things that you are proud of in Animateka's previous editions, and things that you'd like to change? Danijel Žeželj, M.S.Bastian, Lars Fiske, Tim Webb, Nicole Hewitt, Annick Teninge, Marco de Blois, Koji Yamamura, Georges Schwizgebel, Patrick Smith, Matti Hagelberg, Regina Pessoa, Giannalberto Bendazzi, Jerzy Kucia, Priit and Olga Pärn, Jelena Girlin, Max Andersson, Fernando Galrito, Marcel Jean, Solweig von Kleist, Patrice Leconte, Alex Baladi, Akinori Oishi, Andreas Hykade, Michaela Pavlatova, Joanna Quinn, Jonathan Hodgson, Vuk Jevremović, Otto Alder, Caroline Leaf, Suzie Templeton, Theodore Ushev, John Canciani, Carolina Lopez, Cecilia Translavina, Alain Ughetto. And this year we have Rosto, Julie Roy, Anetter Horst, Robert Morgan and Jean-Luc Slock. As for the things we would like to change, we reached the maximum of what we can do; still, a new festival platform will be added next year – the AnimatekaPro part of the festival, where we would give more space to producers meetings and work in progress presentations. ZF: In your 12th edition, you have an impressive, 8-part tribute this year to Animation Documentaries. Why do you think this is important? IP: The Animadoc festival retrospective is the continuation of festival's cinematic exploration of the technical and aesthetic milestones of the medium of animation. In 2009 we presented a retrospective of stop-motion animation, in 2010 we paid homage to avant-garde animation, in 2011 we focused on the use of music and sound in animated films. In 2012 we looked into the relation between animation and literature; 2013 was the year we explored the interactions between animation and dance, and last year we focused on collaborations in animation by showing omnibus films. Animateka 2015 turns the spotlight on a special sub-genre. The round table with Annegret Richter, Bastien Dubois, Marie Josée Saint-Pierre, and Anna Ida Orosz will serve as an introduction to the film programme, with an attempt to provide a theoretical framework for the documentary approach in animation. ZF: You state that this 12th edition is going to be "legendary". Why? IP: If a programme director would not state that for each edition, that the current edition will be a legendary one, something would be wrong.... This year we had many problems; most specificall, we could not find sponsors for the festival awards (this is a serious problem in Slovenia, where the state is not making it easier for companies to sponsor cultural events). This delayed a bit the festival preparations, but in the end all is set and done, and the list of the festival international guests is a sure bet that we will have a legendary 12. edition! ZF: Animation artist Rosto is part of your year's jury, but also part of the festival residency programme. Could you let us know a little bit about this programme? IP: Actually, we only had one true artist in residency in 12 years. As a collaboration with Stripburger comix magazine, Akinori Oishi from Japan stayed in Ljubljana for 1 month and was drawing up the festival visual identity directly from the walls and windows of our Kinodvor cinema. For the rest, "artist in residence" means that the chosen one send us his/her illustration for the festival poster and then our great in-house designer Pirate Piška makes the whole visual become alive. The "artist in residence" also gets the privilege to make a special flip-book edition. ZF: What do you think that makes a fine animation festival? People, budget, films?